Scrapcat Cards by Linda: Hello Again! Wow it has been a very busy summer. 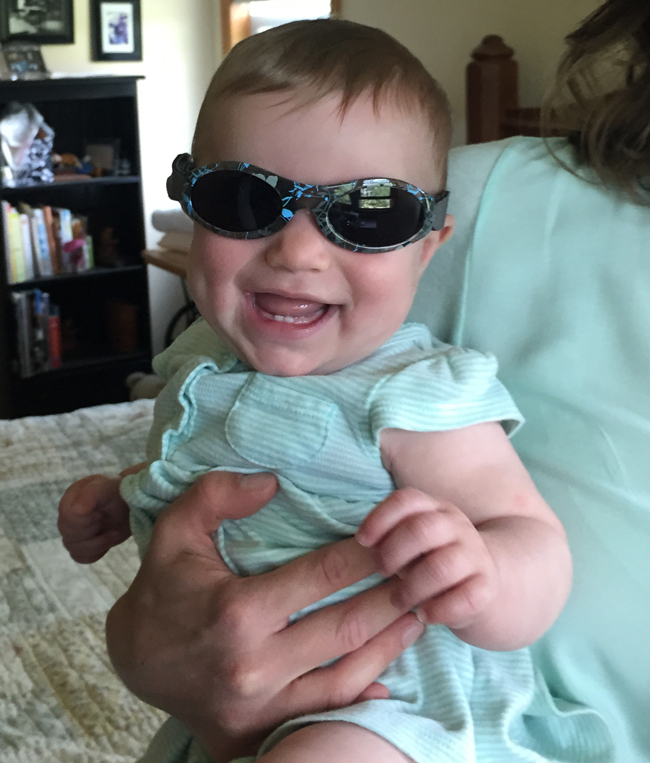 In late April my granddaughter and her parents moved in with us. They planned to stay 6 months and they did. I am so sad not to have my baby girl and her mom around . They were such great company when we were here. We spent a lot of time at the cottage this summer. 9 months old walking, No running, off with a wooden spoon she took from the dishwasher. She is so quick we don't let her out of our sight. 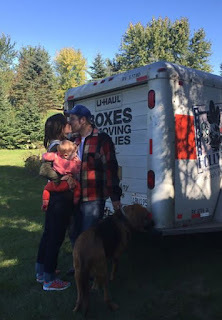 This was a sad day for me, but it is important for a young family to have there own place. We wanted to give them the chance to save some money and have a garden. Their garden was amazing. I never got the vegetables they did for that plot of land. Now what have I been doing? Well working in a journal. Having fun in a Face Book group called Fauxbonichi Journaling group. I journal everyday. I don't take pictures of that but I share in a video once in a while. There are about 70 videos on my You Tube channel since May. 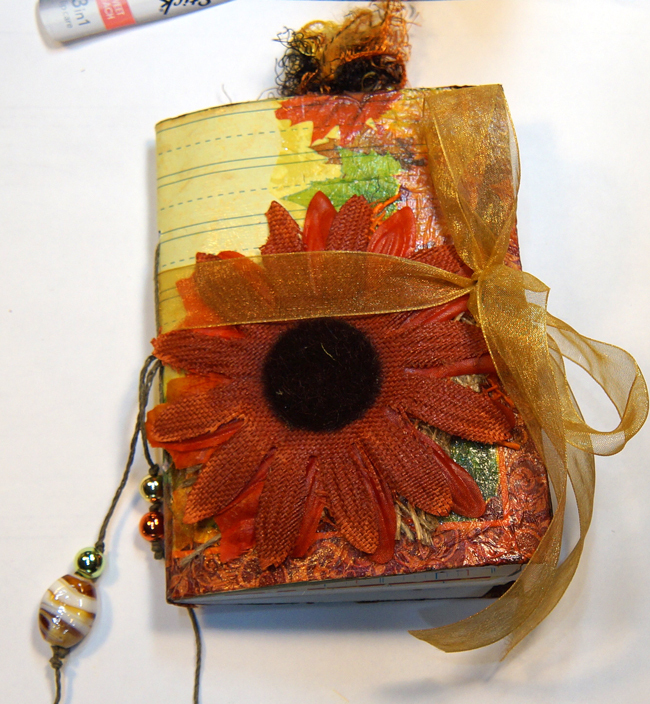 The latest is a Autumn Fun Book I made for a swap at Your Paper Pantry. Here is the video for this. Today we are at the cottage it is cold (50) and raining. Yesterday it got to 81. That was so amazing. The colors were breath taking. I played around with a new header for my blog but I am not sure I have it just right. Most of the time I make my own but I just couldn't remember how so I used a Shabbyblogs one and added Sophie's picture. She has some beautiful headers for free. That is it for now. I hope you are all safe and enjoying the Autumn air and some very happy crafty times. Have missed you!!!!!!!!!!! Your granddaughter is ADORABLE!!!!!!!!! Hullo hullo hullo!!! Good to see you back here! Loved catching up on your hews...never heard of the Fabo thingy until a GF mentioned it on the weekend.... so I'll have to check that out!!! Lovely that you got the chance to share with your grand girl like that. Such a SPECIAL time!!!! 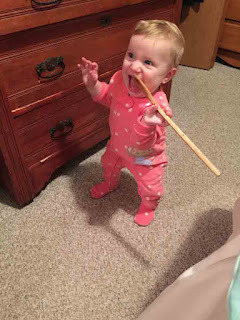 OMG Linda it is awesome to see you back on blogland I have often popped by to see if you had come back to us. I love your pictures of Ava she is a little beauty so glad you had their company for so many months, hope to pop back often to your work that I have always loved so much just like this wonderful album.